Online marketing involves the use of the Internet to deliver marketing messages to your target audience. Your online marketing should be integrated with your traditional marketing efforts to maintain your branded image and to direct customers back to your website. Through AIMS, we look at how all your marketing and sales efforts are being used to generate leads and convert into sales. In addition to creating user friendly, content rich websites that your visitors will enjoy (+ return to and tell their friends! ), we can assist you in building traffic and reaching your demographic audience. Behind a good website and successful marketing campaign is a PLAN that has good research. Read more. Social media is an important part of your customer retention strategy and inbound leads. Presence in social sites such as Facebook, Twitter, Instagram, Youtube and LinkedIn are a must for many companies. Your social media strategy ties in with building your credibility online and staying in touch with your customers. It has become an important part of your inbound marketing and has an impact on your web traffic and search engine ranking. Read more. Content marketing contrasts from traditional persuasive marketing techniques. It is about sharing valuable content that interests your audience. We can work with you to build a content strategy that helps you demonstrate thought leadership in your market. We will set you up with a scheduled program to help you get your content and message out regularly through article syndication, content distribution, podcasts, press release distribution, dynamic syndication, blogging and social community postings. Although much of your PR is spread through social media, there still is a role for a PR strategy that integrates with your SEO, content strategy and social media. f. Gaining Social proof by having your articles posted on recognized media websites. Spread your message exponentially through effective viral campaigns! Viral marketing is your online version of word-of-mouth. Read more. Search Engine Optimization (SEO) is not as complicated as the word – but it is time consuming. The good thing about SEO and traffic building efforts is they last (as opposed to paid advertising). SEO is the process of achieving a higher “rank” in search engines such as Google, Yahoo and Bing for targeted keywords. This increases the volume and quality of traffic to your website for targeted keywords. SEO considers how search algorithms work and what keywords people search for. Strategies for SEO include on page optimization, site structure optimization, keyword research, developing unique content, internet copywriting, search engine submissions, backlinking (directory submissions, article marketing, blog postings, commenting, social media bookmarking, free ad postings) and inbound linking strategies. Read more. Affiliate marketing is a type of revenue sharing program where an affiliate receives a commission for generating a lead or sale for a merchant online. Affiliates use a special link (url) from their site, newsletter or blog that tracks where the sale or lead came from. Good affiliates can help you obtain a larger online reach. We can integrate this program with your shopping cart, set up affiliate marketing tools, provide you with help in finding affiliates and help you produce marketing and sales materials to keep them motivated. Google Adwords, Paid and sponsored content ads in Facebook, Instagram and LinkedIn can be effective marketing for certain products. Many PPC campaigns allow for niche segmentation and geo-targeting. Read more. Effective sales promotions can also be online. There are many creative low cost ways to reach more customers and build loyalty such as free samples, digital give-aways, webinars, sponsorships, contests, online voting, sales incentives, coupons, cross promotions and even online tradeshows. We can help you come up with ideas and implement a promotional campaign that suits your budget. Permission based email marketing still remains part of an overall strategy to maintain contact with your clients and leads. Auto–responder tools allow for automating a series of messages in a specific sequence. Ethical marketing through this channel requires knowledge of CASL anti-spam laws, privacy policies and opt in subscriptions. We can help you create seasonal email campaigns, special offers and newsletters. Our goal is to reduce your long-term costs; we can help you integrate your email service with your website and set up your templates. 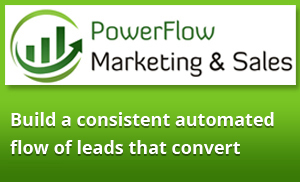 Conversion means turning your online leads into sales, members or subscribers. We can help make your website more effective through credible messaging, visuals, calls to action, sign-up forms, auto-responders. We can help you set up a sales funnel that moves clients through the freemium to paid model. Proper tracking allows you to effectively manage conversions. Our AIMS Program is an effective method to increase lead generation and conversions rapidly. Setting up systems that allow you to track your campaigns is critical in developing successful marketing strategies. We can set up Google Analytics, add url and call tracking elements to campaigns. We are not going to make false promises to get you to the top of Google search. Your rankings depend on a variety of factors such as competition of the search words, backlinks, current traffic and on page optimization. We will assess you current position and provide recommendations to increase your traffic. We can set up performance indicators so that you can track and monitor your goals.